I picked up this frame at my local thrift shop today for $2. It had never been used but had some scratches in the finish. It originally sold for $9.99. I was in Bemidji on Monday, and stopped at Hobby Lobby. Valentine's Day crafts were 40% off. I purchased these faux Scrabble Tiles at 40% off of $2.99. I actually have Scrabble tiles from games too but I always run out of some of the letters, and the price was right! My frame is an easel type collage frame. I used Dixie Belle Chalk Finish Paint in Hurricane Gray to paint the frame. I brushed on two coats using one my new favorites, the Zibra 1-Inch Square Paint Brush . The square brush works well on small areas and especially on chair legs or spindles. After the paint dried, I sanded the edges with 220 grit sandpaper. I then sealed the paint with Dixie Belle Best Dang Wax in Clear . I apply it with Intex Precision-fiber Paint & Cleaning Rags . On the cardboard inside the frame. I brushed on two coats. 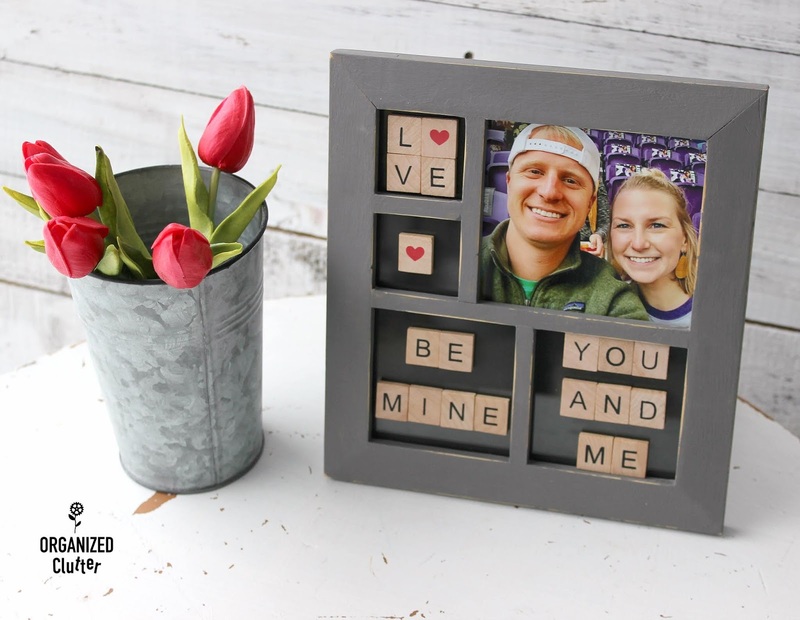 I then assembled the frame with a photo of my youngest daughter and her boyfriend. 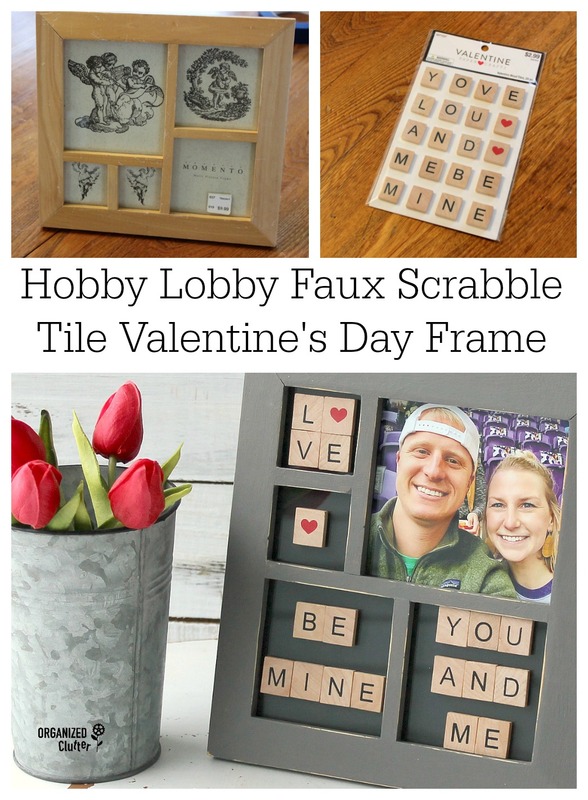 My Hobby Lobby faux scrabble tiles were sticky backed, so all I had to do was arrange them on the glass areas of the collage frame. I think they will stay on too. The clear double stick tape on each tile was pretty strong and sticky. 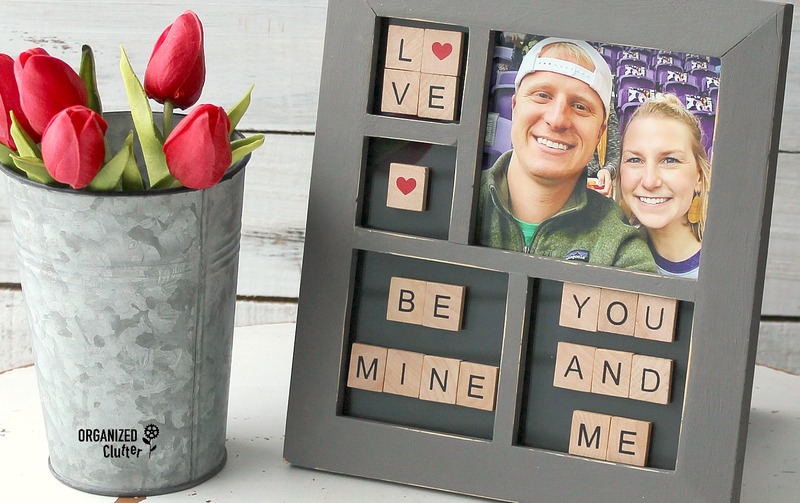 This is a super easy Valentine's Day craft project! 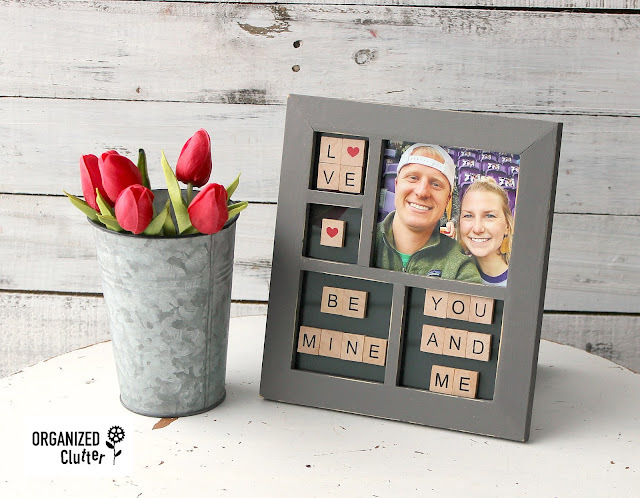 Use your own collage frame, your own colors, and your own kids! Here's another frame and real Scrabble tile project!